Just a quick little card today from the Shimmer Glimmer Sparkle and Shine CD. It is one of the 45 Technique from the CD, which is $14.95. 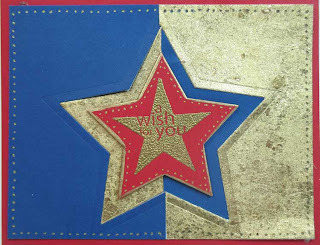 I love this technique and it works well with Foil OR Glitter. Welcome to the hop! 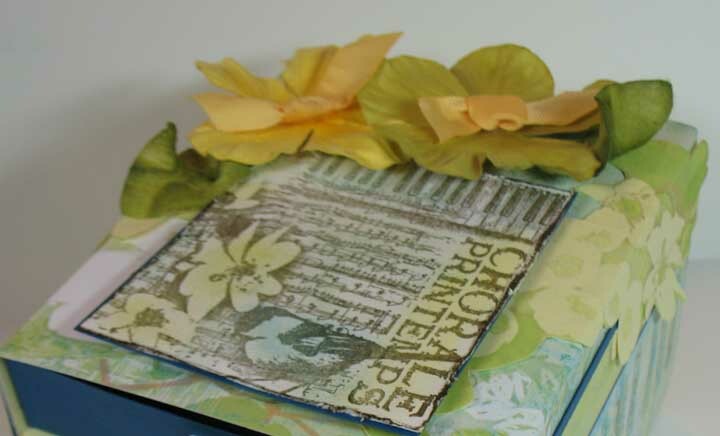 Today is the monthly Club Scrap Blog Hop, and we are celebrating the Spring Chorus April kit. If you arrived here from the CS Blog, you have come to the right place. If not, you may just want to go back there to start again, since the list of all the bloggers are there. I chose to make the Embellishment Chest from the Technique Junkie Newsletter 3D and Fun Folds CD. I thought the paper and stamps were especially well-suited for this project. The drawers in this chest are big enough to hold A-2 sized cards, as well. Although I hated to do it, I cut the flowers out of one of the 12" x 12" sheets to wrap around the box top.You can see how they overhang the edge better in the photo on the right. The next stop on the hop is Julie Heyer. Thanks for stopping by! 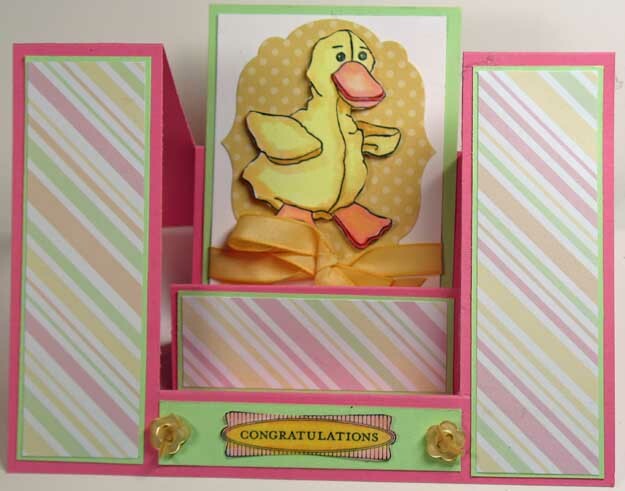 I just love Simple and Easy Techniques -- they are so handy for making quick cards with oomph. 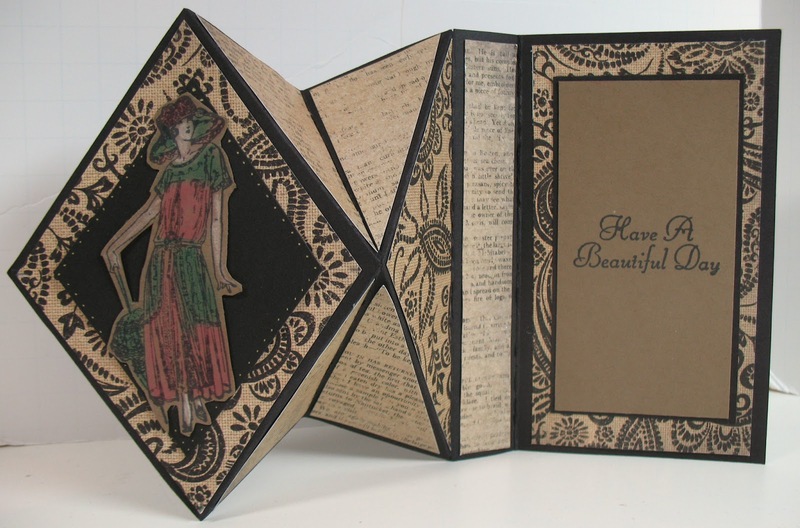 This card is an example of the Patchwork Technique, one of the 30 techniques on the Simple and Easy Inking Techniques Remix CD. 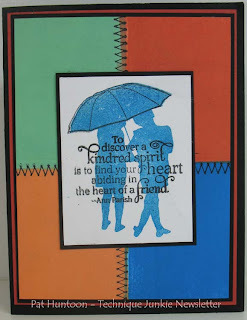 The technique works really well with these bold stamps from Sweet 'n Sassy Stamps, don't they? (Did you know that SNS gives a 10% discount to TJ subscribers using the code tjn2013?). Welcome! Today we are hosting a Blog Hop to celebrate the launch of the Technique Junkie new sister CDs: Move It and Shape It.. This is the last stop of the hop, so if you arrived here from Tricia O'Bin's blog, you are in the right place! If not, please take a minute to start at the beginning at the TJ Design Team Blog: http://techniquejunkies.blogspot.com. Most of the designers made two items -one from each CD - so you are in for a treat with this hop! I have been hoarding this gorgeous Graphic 45 paper and it was just screaming to be used on this screen. 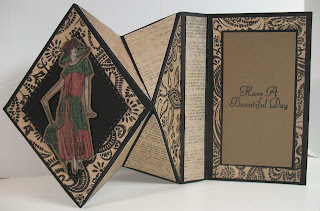 I LOVED cutting it into these pieces to decorate it! The gorgeous stamps are from Sweet Stamps. This card folds flat, too. I hope this hop inspired you! Thanks for stopping by. 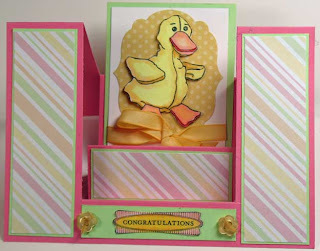 Today I am the guest blogger on the Club Scrap Blog, so I thought I would double-whammy you with a companion project! 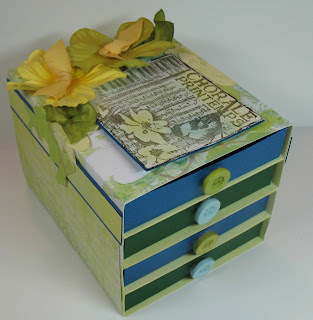 I have a (different) Gift Card Pop Out Desk posted on the Club Scrap Blog - and I have a link on that blog to the tutorial from the Move It CD for how to make the project. It is one of the 25 tutorials on the Move It CD. If you do not have any Technique Junkie CDs, I suggest you go over and click on the link the tutorial is a great example of how ALL TJ CDs are presented. The Gift Card project here is different from the one on the CS blog. 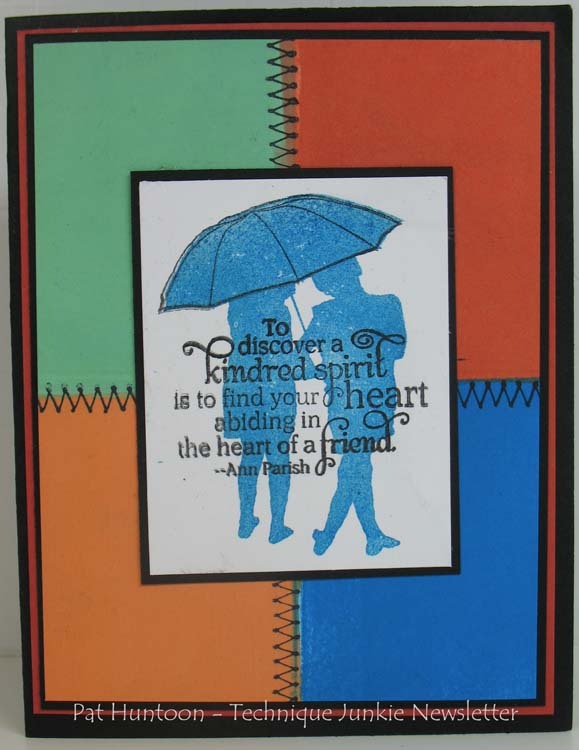 This one uses stamps from a Club Scrap kit from several years back, Toolkit. I paired it with some old Wild Asparagus paper I had in my stash, along with a piece of wood paper that I picked up along the way. Wouldn't this be great with a Home Depot gift card inside? Here is the outside of the card - I really loved the Duct Tape theme! If you would like to order the CD - or it's companion CD, Shape It -- you can do so right from my sidebar, or go directly to the Move It - Shape It description page. Each CD is $9.95, but if you buy them both they are only $17.95 - and you save on shipping costs, too. Make sure you check out the Club Scrap Blog -- have a great day!